In 2014, what once was one became three. The venerable alligator snapping turtle, Macrochelys temminckii once ranged in 3 apparently non-contiguous basically riverine populations westward from the northern peninsula of Florida and southern Georgia, to southeastern Kansas and eastern Texas. The range extended northward in the Mississippi Valley to central Iowa and Illinois. The southeasternmost population (now the Suwannee alligator snapper, Macrochelys suwanniensis, ranges throughout the Suwannee River drainage of Florida. The central population (now the Apalachicola alligator snapper, Macrochelys apalachicolae) occurs in the drainage of the Apalachicola/Chattahoochee Rivers of Florida, Georgia and eastern Alabama. The western population (still referred to as simply the Alligator snapper, Macrochelys temminckii, ranges westward and northward from Florida's western panhandle throughout the remainder of the large range. The separation and erection of these turtles was based on genetic and morphological differences. For more information read: "Taxonomic assessment of Alligator Snapping Turtles (Chelydridae: Macrochelys)," with the description of two new species from the southeastern United States in Zootaxa 3786 (2): 141–165. Continue reading "The alligator snapper trio"
A massive frog die-off is the latest sign of extreme pollution in Lake Titicaca which threatens wildlife and humans. As human and industrial waste from nearby cities increasingly contaminate the famed lake that straddles the border between Bolivian and Peru, the native Aymara people who rely on it for food and income say action must be taken before their livelihoods, like the frogs, die off. "We used to live off of fishing," said Juan Quispe, a local villager. "But now we have nothing to sustain us." The fish have moved farther and farther from shore. On a recent Saturday, the 78-year-old Quispe joined a cleanup brigade to remove dead dogs, tires and other refuse from the shore of Cohana Bay where the lake meets the Katari River. 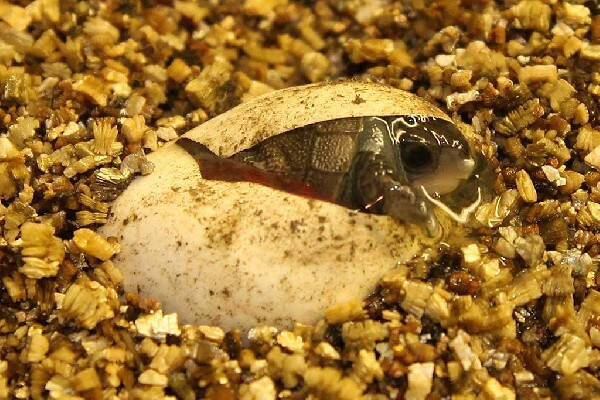 This adorable Box Turtle begins its new life in our herp photo of the day, uploaded by kingsnake.com user norristhenut! Be sure to tell norristhenut you liked it here! After having problems flushing her toilet, a woman was stunned to find a live iguana in the pipes. "I've never seen anything like this before," plumber Alisa Scott told ABC affiliate WPLG-TV. "This is the first time I pulled something like that out of a toilet." Scott says she used her tools to reach far down into the toilet. What she began to pull out was still alive. "To my surprise, I pulled out that large iguana," Scott said. "At first I thought it was a toy, and then it started moving around." Iguanas are common in that part of Florida, but they aren't commonly found inside your plumbing. In the city where I live, I have come across many snakes from the highly venomous to the non-venomous. The Russell’s viper (Daboia russelii) is one of the highly venomous snakes I confront. Rescuing Russell’s vipers and studying them has been one of my finest experiences in my herpetology career. If I rescue 10 snakes a week, at least 4 of them are Russell’s vipers. 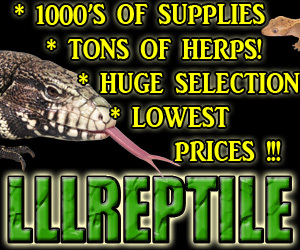 While researching these snakes, I came to know many amazing facts about them. One such fact was actually so amazing that I never dreamed of witnessing it: "A female Russell’s viper brings 70 more venomous vipers in the world." Yes, my friends, you got it right. A few days back I saw a female Russell’s viper and all of her babies, which I rescued in their mini-hospital snake container. I was left awestruck for a few minutes after being told that it was really happening. Though being in a large number, I could clearly see the babies with their mother, moving to and fro even though they weren't in a spacious container. After seeing them a bit congested, I moved them to a larger crate where they were able to move freely. I took some easy snaps, gave some privacy to this venomous family, and after some hours I released them into a suitable environment for the betterment of their future. Continue reading "Russell's viper: snake mama surprise"
This bearded dragon is looking forward to the short work week in our herp photo of the day, uploaded by kingsnake.com user dedragons! Be sure to tell dedragons you liked it here!